The Middle School Student Council held a Pajama Day! Students and staff paid $1 to wear pajamas to school and received a wristband. All donations will go to the Webner family. Attended the 4th annual Steamfitters annual welding competition Friday April 12 with students from all corners of Iowa. We are proud that out of over 70 students our own Preston Prince WON the entire contest!! Preston works very hard at his welding and it paid off as he won a multi-process welder for himself and a MIG welder for his school. 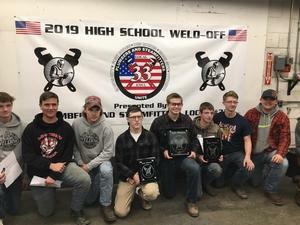 In total, over $4,000 worth of welding equipment was won by Preston and our team including Colten Boatman and Dillon Bennett. Very proud of these Panorama welders!! 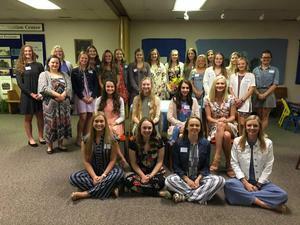 2019 Senior Tea hosted by the Women’s Service Organization (WSO) at the Panora Brethren Church. Maureen Lubeck shared her special memories of the class of 2019 and still has the vase given to her 10 years ago from them. Alumni Jensen Wilke gave a message on faith, patience and trust. Thank you to the WSO for hosting this wonderful tradition. Kauffman celebrated his 12th birthday in style this week. Happy Birthday to our furry pal. Mr. Faraci’s 7th grade Panther READY class is learning about Rockets! Here they are building rockets that they will blast off next week! 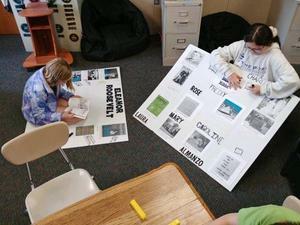 These 5th graders are hard at work putting the finishing touches on their Night at the Wax Museum displays! Hope to see you tonight from 6-7PM. 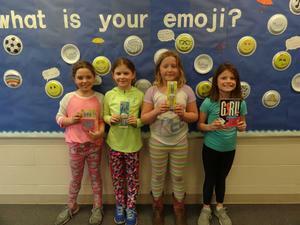 Elementary Students "Read More in 2019"
Panorama Elementary students were able to participate in a three-month challenge called "Read More in 2019". Students filled out a special bookmark for every four books read and could enter as many times as possible. The drawing was held on Friday, April 5th, and these 30 lucky winners received prizes. Great job everyone and keep reading! 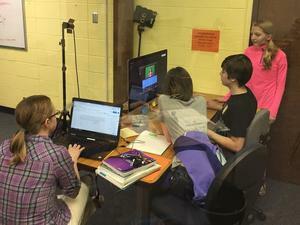 Twenty-two 5th-7th graders from Panorama participated in the Winterset Battle of the Books last Saturday. Each of the 5 teams won at least one round and the two 7th grade teams won three rounds placing them in the top 16 teams out of 64. Fiction Addiction went on to place in the top 4 ultimately losing to the winning team from Dallas Center Grimes. Grand View University Honor Band. Director is from University of South Dakota. Dr. John LaCognata! 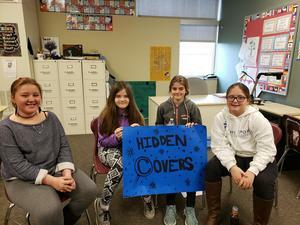 4 students - Ruby Hummel, Shekynah Haworth, Cassidy Hoehne and Lauren Soll.